The stunning landscape of the Uco Valley will play host to the Seminar "Changing the Game: from varietals to regions”, at Bodega Salentein on September 8, 2017 from 8:30 a.m.
For almost two decades the promotion of Argentine wine has been exclusively focused on variety. Today the rules of the game seem to be changing and it is now necessary to incorporate new differential features. Geographical Indications are outlined as the best approach to add value to the quality of varieties. A) 8:30 a.m. Walk-around tasting of imported labels selected by international judges depending on the relationship between the origin of the wines and their success in the United States, UK and China. B) 10:00 a.m. Presentation panels. The judges will explain the main characteristics of the markets they represent, while presenting the wines tasted at the beginning of the day. The entrance includes both parts of the Seminar (walk-around tasting + dissertations on markets), as well as attendance to the Awards Cocktail that will take place later in the afternoon. $ 2,150 up to August 16th. $ 2,490 from August 16th to September 6th. Tickets can be purchased electronically through Eventbrite. 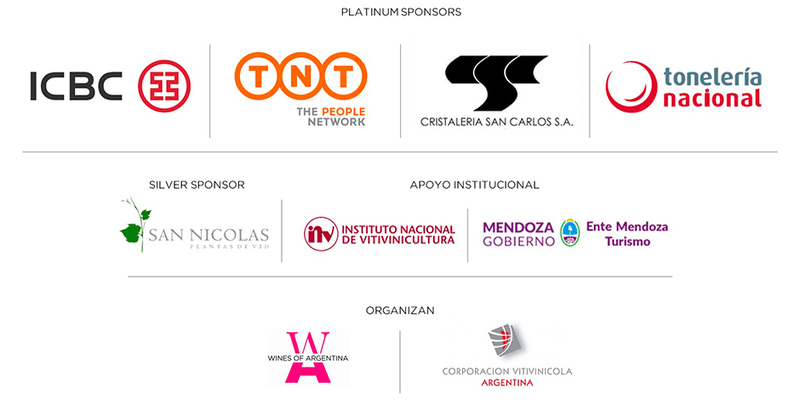 Reports and registration at awa@winesofargentina.com or by telephone at 261-5392576 (Romina Vargas).